Longsleeve made of soft cotton jersey with a serafino-collar and a modern fit - slim but casual. Perfect for everyday, you could wear it with jeans, chinos or even with sweatpants. There is nothing more comfy and stylish than this modern shorts. Relaxed details like side pockets, elastic waistband and the front fly contribute to the casual look and the statement-waistband and the stylish print turn this shorts into a trendy eye catcher. Every Day Luxury: the single-coloured, cleanly designed T-Shirt guarantees the highest degree of wearing comfort. Underneath the business shirt it becomes invisible. The uncomparably light milk fibre pampers not only the eyes, but also the skin. These shorts are super comfy on your skin because of the soft modal and the smooth elastane. The tempting, tight cut is combined with casual details and turn these shorts into the perfect companion for a relaxed day. This regular fit long-sleeved shirt owes its soft feel to premium cosy cotton. Thanks to its soft touch it has a modern casual appearance. Classic details such as a Kent collar and button placket emphasize its authentic design. 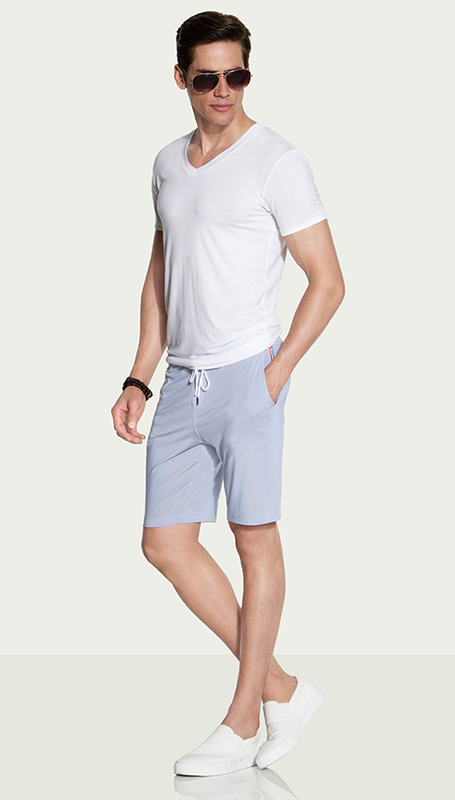 The bermuda shorts in fine cotton with a practical drawcord waistband provide perfect comfort. 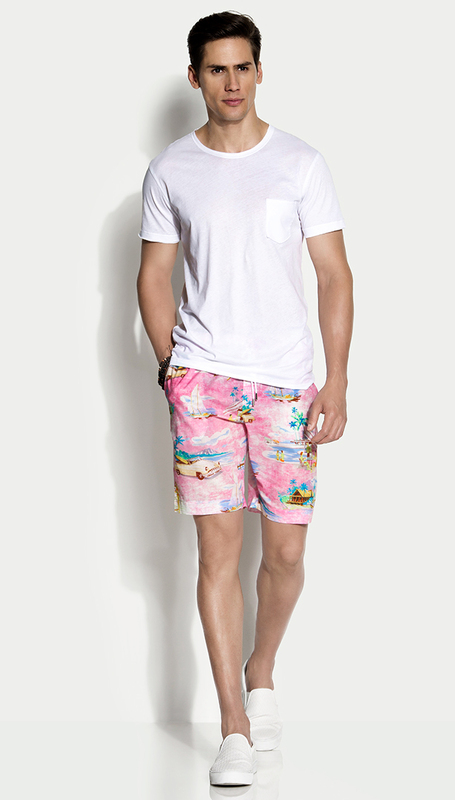 With pattern or without this shorts simply never go out of fashion. 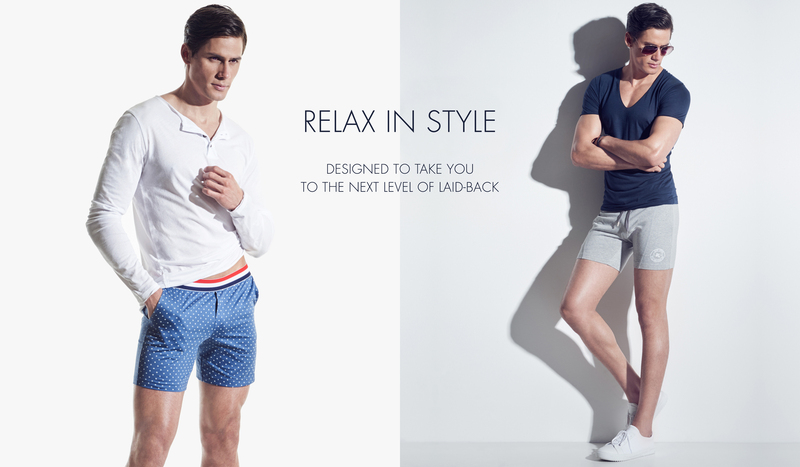 With its cosy fabric, side applications and relaxed fit, these shorts radiate comfort and style at the same time. Made of pure cotton, they are pleasantly comfortable to wear and promise a stylish appearance. 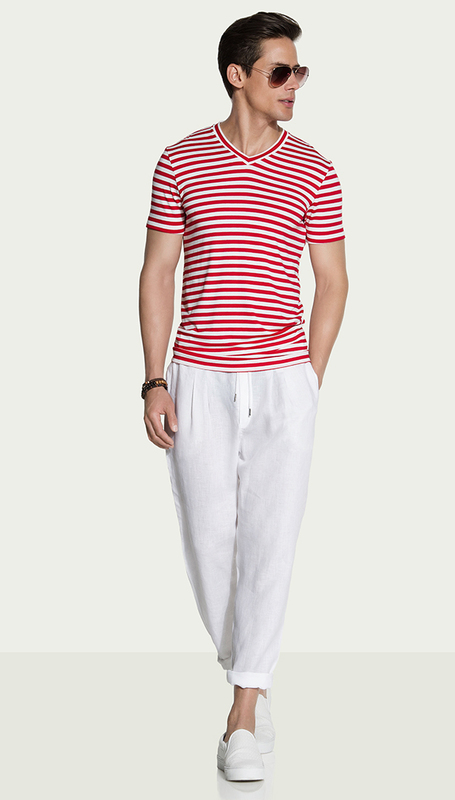 The bermuda shorts in fine linen with a practical drawcord waistband provide perfect comfort. 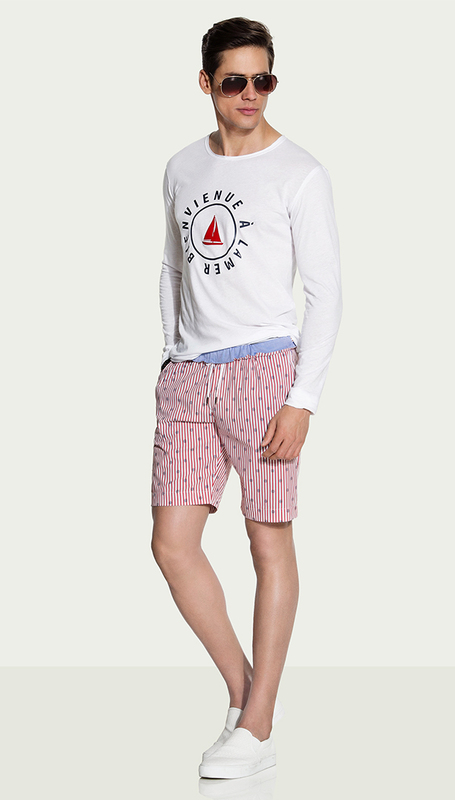 With pattern or without this shorts simply never go out of fashion. Stylish jersey shirt with handy front pocket and modern contrast piping on the hem and neckline. The casual cut and the modern design emphasize the super soft touch of the shirt. With its cosy fabric, side pockets and relaxed fit, these bermuda bottoms radiate comfort and style at the same time. Made of pure cotton, they are pleasantly comfortable to wear and promise a stylish appearance. A T-Shirt that has it all: the single-coloured, cleanly designed short sleeve shirt guarantees a high degree of wearing comfort. The light, smooth and soft micro modal pampers the skin with its soft quality. This relaxed linen pants is the epitome of coolness. It combines summerly ease with handy elements like a drawstring, side pockets and a comfy cut. These pants are perfect for warm days and classy summer nights. This modern long sleeve has a casual V-Neck and a relaxed cut. The light and super soft fabric emphasizes the clean and masculine design. This shirt is the perfect companion for everyday. The casual summer bermuda shorts with its handy button placket and trendy statement-waistband are the perfect summer must-have for all men with style. Its high class materials and the modern cut combine comfort with style. The absolut must-have for every man - the comfortable and undeniable cool polo shirt! 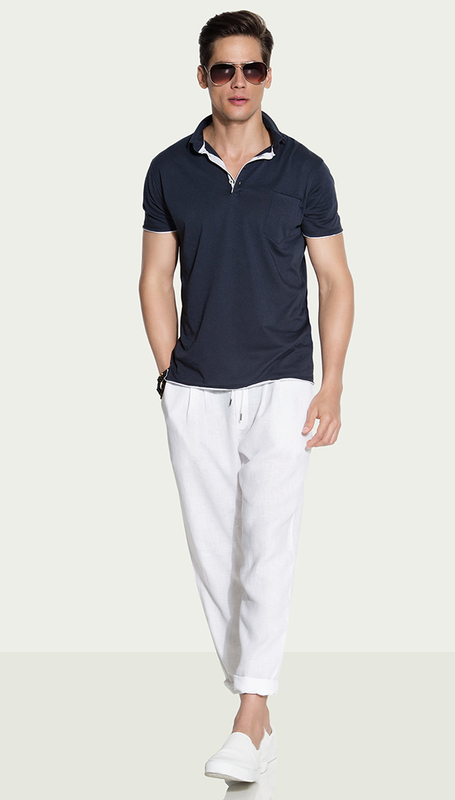 Modern ease meets classic design that shows itself in the typical polo shirt collar and the short button placket. Style made in Italy: thanks to the casual cut and the mediterranean charms these bermuda pants are the perfect partner for summer days. This longsleeve made of pure cotton sets a modern fashion statement through the cool front print. It has a relaxed fell-good-cut, a super soft touch and a clean esthetics.